Got an old, damaged, rusted or broken down car you don’t want anymore? Cash Cars Frankston will buy your unwanted car for up to $9999 in cash. What’s more, pick up is free! Cash Cars Frankston are accredited with Vic Roads, which means that we can and will handle the registration paperwork, taking away a lot of the hassles of getting rid of an unwanted vehicle. We are happy to come pick up your car in Frankston or any location in the surrounding suburbs. Give us a call on 0481 332 220 right now! We accept all makes and all models in any condition: Mitsubishi, Toyota, Holden, Ford, Hyundai, BMW, Mercedes-Benz. It also doesn’t matter where it was made or how broken it is. All you have to do is give us a call or fill out our appraisal form online. Whatever brand your car is, we’ll come pick it up. If you have an old car that is broken down, been in an accident, or if you have a truck that just won’t start anymore and you can’t get it out of your garage, front lawn or driveway we will offer to pick it up and for you and pay you up to $9999 in cash on the spot. On top of that, we will also provide all the necessary paperwork to ensure you are free of all liability of the car, once you sell it to us. Easy as can be. How Do We Dispose of Scrap Cars or Unwanted Cars? 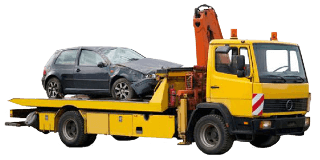 Cash Cars Frankston are Car Wreckers that recycle cars, trucks, vans, SUVs, 4WDs, utes and motorcycles. We don’t just offer a flat rate for steel and parts. Our quotes are based on the size, weight and condition of your vehicle. If the engine is there and we can recycle the parts that will bring a bit more cash, just as an SUV that weighs much more than a car will bring higher value in the weight of its steel. Cash Cars Frankston will recycle as much of your vehicle as we can. Cash Cars Frankston is a fully licensed car buyer, seller and wrecker that is bonded and insured and always puts the needs of our customers first. We hold an LMCT licence, which means you can trust that any business done with us is quick and easy. Call us now on 0481 332 220 or send us an email at info@cashcarsfrankston.com.au or fill out our instant appraisal form NOW! Want to get rid of your car for a good price? Call Cash Cars Frankston!